You’ve climbed countless mountains. You’ve faced blizzards in Georgia, massive thunderstorms in the Smokies, heat that makes you feel like your eyes will melt down your face and bugs that make you want to cast yourself into a fire. You’ve had to repair or improvise your shelter and you’ve eaten things (happily) that you probably wouldn’t tell anyone who wasn’t also thru hiker, but, you’re a pro by now. It’s all good. Then you climb into New Hampshire. Things get real in New Hampshire. The White Mountains are the crown jewel of the AT; a place most of us have been looking forward to (or somewhat afraid of) for months and miles. They are difficult, foreboding, and absolutely beautiful. 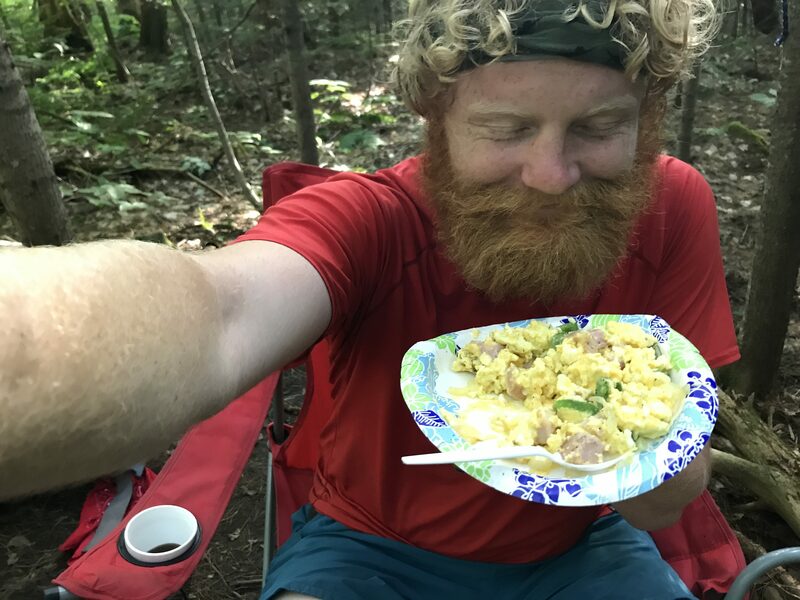 We got a taste of the magic right away, when we ran across a gentleman who refers to himself as The Omelet Guy that had a camp set up dedicated to cooking for hikers. He handed me a five pound plate of eggs, ham and peppers and asked me if I’d like more with a hint of challenge in his voice. 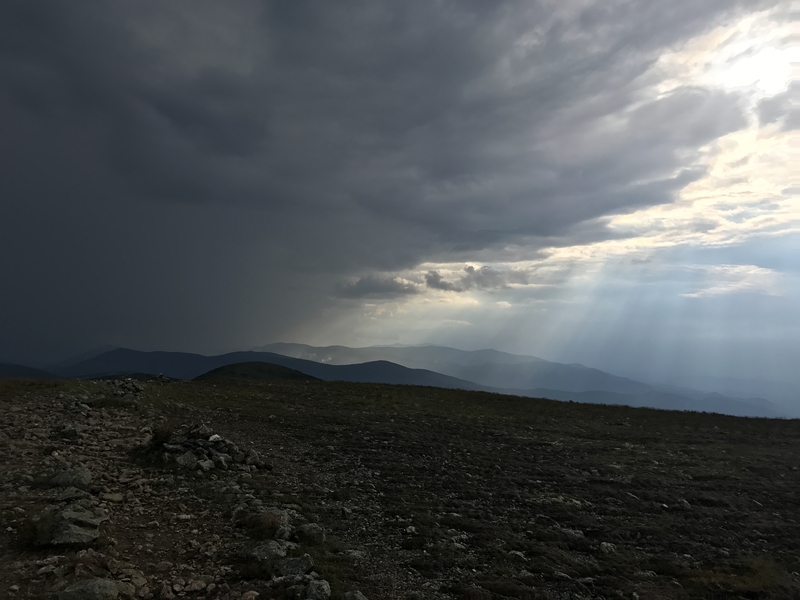 Another day, after we had stumbled down from the Presidentials and we’re frantically trying to hitch to Gorham to escape a terrible thunderstorm, my buddy Munch and myself were abducted by a trail crew and taken to a cabin for an all night party (a story best told over beers, friends). Long story short, those and a hundred other reasons make the Whites a special place in the hearts of hikers. You should go find out why. Howdy All, I'm Rhys, thanks for stoppin' by. If you've made it this far it means you just read all the gibberish I've written above, and for that I'm sorry. I owe you a beer. I'm hiking the the Appalachian Trail because, short answer, I think there's more livin' to be squeezed out of life. Thanks for reading, if you have any questions or want to nerd out about gear, hiking, or shenanigans (I love shenanigans!) feel free to reach out via email or facebook. See you on the trail! Yep, and after all that- it’s just primer for the Adirondacks.